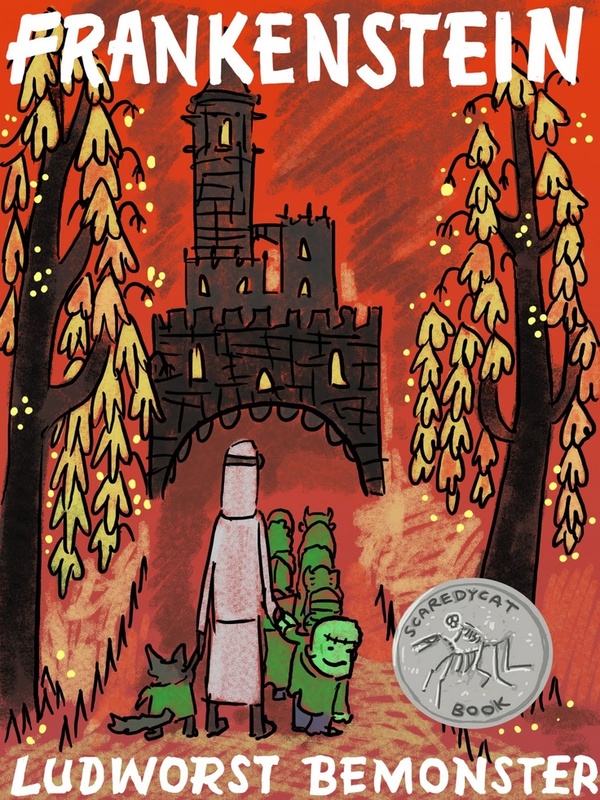 The Children's Room Blog: Frankenstein 200 years later! October is usually our favorite month for monsters, but this year September will hold some opportunity for a few good screams and shivers. September 2018 marks 200 years since Mary Shelley's classic story Frankenstein was published. 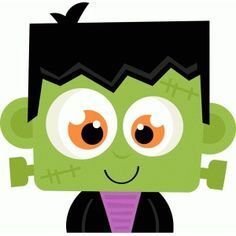 While most children would see this guy and immediately say that his name is "Frankenstein"
They would be incorrect. The image above is actually Frankenstein's monster! Dr. Victor Frakenstein is the namesake of Shelley's story, and the image of the green monster with a flat head and bolted neck first became associated with the monster was made popular by a 1933 film adaptation of the book. That doesn't mean we can't have some fun with the big guy when it comes to children's books! A particularly silly storybook for instance uses the refrain of Ludwig Bemelman's Madeline books replacing the heroine with the rhyming "Frankenstein". 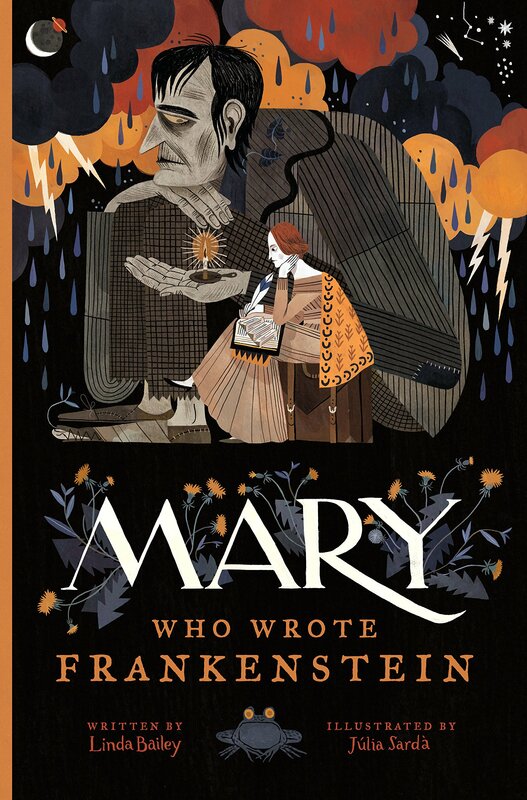 Mary who wrote Frankenstein, a new biography for young readers by author Linda Bailey and gorgeous illustrations by Julia Sarda. Welcome to our Children's Room Blog! Follow us and see some of the wonderful things going on at your library! 2014. Simple theme. Theme images by saw. Powered by Blogger.